I am finally ready to publish something new! 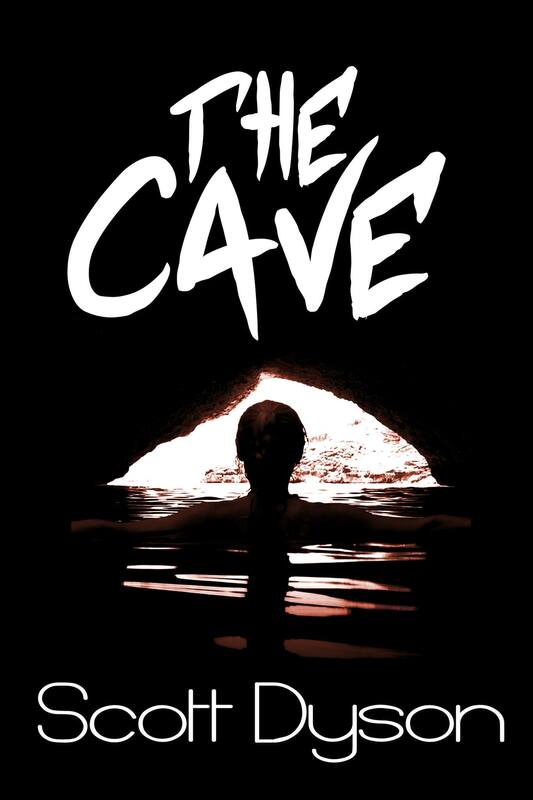 I’ve finished up a 25,000 word novella called THE CAVE and we are putting the finishing touches on the cover. When the cover is done, I will be publishing it as an ebook for Kindle. This is probably the first book that I’m going to try for a wider release. I’m also planning on publishing it (not immediately but as soon as I have time to do the extra work) to the other ebook platforms, either through Smashwords or Draft-2-Digital. I hope to have it eventually available for Nook, iBooks, and Kobo. The story has been through my personal editing wringer (for what it’s worth) and a first reader (Tom McAlister) who gave me some very good input. To me (and to Tom), it reads nicely. But then today I had my confidence shaken as I looked at the notes that one of the editors of QUANTUM ZOO sent me on my story. Most were copy-edit types of corrections, like repetition of a word too close together or wrong use of an m-dash. But some were just clarity edits, and when I read them, I realized that her suggestions (the copy-editor was J.M. Ney-Grimm) did clarify the writing in those areas. But then I remembered Dean Wesley Smith suggesting that you can be paralyzed by such doubts, and I don’t intend to allow it to paralyze me. So here it comes. Maybe by the weekend, more likely sometime next week. I’m working on the blurb right now, but here’s a bit about what the novella is about. Four boys discover a cave in a forest preserve/park near their homes. They decide that they are going to explore it by themselves, because they know that if they let the authorities know about it, no one will let them go into it. So they start to excavate the entrance out, and are joined by the cutest girl in the neighborhood, who, to their surprise, is very interested in caves. But the cave has dangers — not all from the physical challenges presented by their exploration. It’s a story about young love, about trust, about learning to care for others, and about friendships. It’s also a story about something strange that has it in for them and wants something from them that they’re not really prepared to give. While I’ll classify the tale as horror, I don’t know if it is strictly horror. There isn’t a fright around every corner. Mostly it’s just a story about kids discovering the world around them, and discovering themselves. It was inspired, in part at least, by Richard Laymon’s THE TRAVELING VAMPIRE SHOW, and I tried to create the feel of the kids’ experience with something very strange that I found in that novel. I’m thinking that I’m going to make some pricing moves with all of my works. 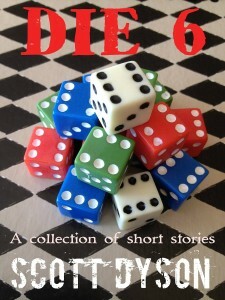 The short fiction can’t go any lower, but I think I’ll probably lower the price of all my collections to $0.99 for a while. See if I can lure any new readers in. 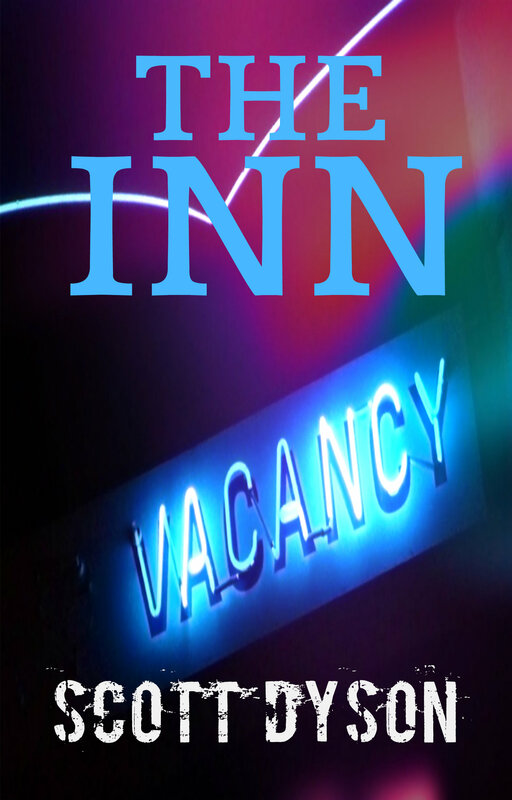 As soon as this one is out there, I’ll move on to working on my band trip horror novella, a 35,000+ word story with the working title THE INN. 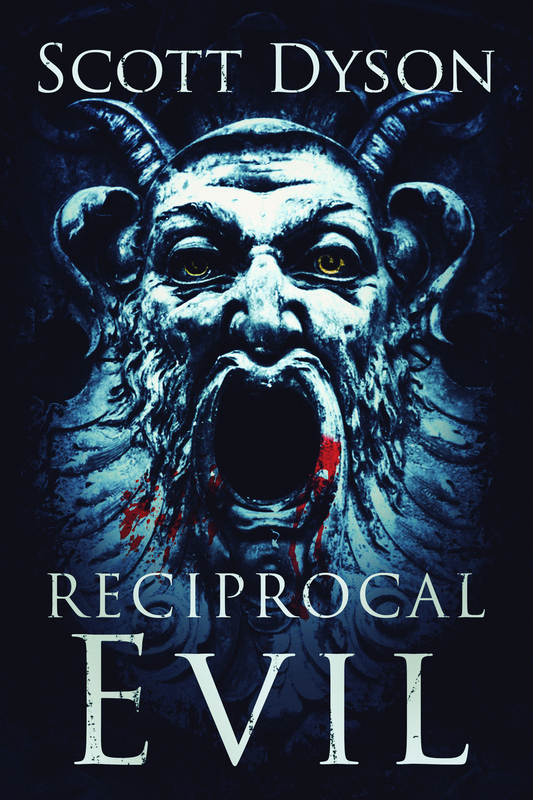 And a second, short novel called RECIPROCAL EVIL, clocks in at about 45,000 words and is currently being read by a first reader. I would like to get them all out before fall. Hopefully my dental mystery, tentatively called DEATH BY APPOINTMENT, will get finished up and I can look into editing it and polishing it. 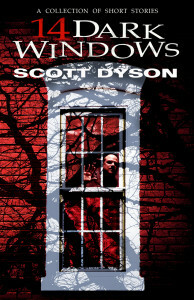 This entry was posted in Uncategorized and tagged ebooks, fiction, horror, new release, novellas, Scott Dyson, self-publishing on April 28, 2015 by Scott Dyson. For those of you who don’t know, Steven M. Moore is an “indie” SF/Thriller author who writes in several series (though he’s more or less tying them all together, ala Isaac Asimov and all of his various novels). His latest series features a “Dangerous Miss” (I don’t know the Spanish off the top of my head), Maria Jose Melendez, also known as Mary Jo. Trouble has seemed to find Mary Jo since she left the navy. She seems to be in the wrong place at the wrong time. But really, she was never exactly in the wrong place at the wrong time — circumstances conspired to put her in those positions, whether by coincidence or by design. 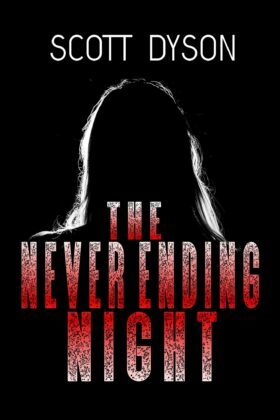 Everything comes from the events of the first book, where Mary Jo has to travel the globe trying to stay one step ahead of numerous government agencies while trying to avenge the death of her sister and brother-in-law. Now there are those who want to find out what she knows and won’t allow anyone to get in between their goals. As usual, Mary Jo ends up in a job that seems to suit her, but ends up drawing trouble to her. She has Russian assassins on her tail, as well as some sort of Feds and…surprise! A stalker! And not just a stalker…a serial killer psychopathic stalker. Moore’s plot is a tightly woven affair which features well drawn characters who grow throughout the book and become stronger and better people due to their interaction with our heroine. 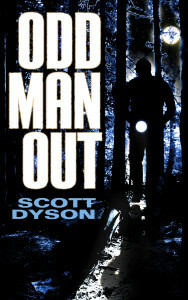 The book keeps the right amount of pacing and suspense and even crosses into a bit of my realm, serial killer/horror. (But not too much…nothing really graphic here.) There’s even a tinge of romance as Mary Jo and her PI/bodyguard Mario hit it off and a few sparks fly. In my mind, this book surpassed the first of the Mary Jo Melendez books (titled MUDDLIN’ THROUGH). I read it pretty much straight through. One of Moore’s better offerings, and that’s saying quite a lot, what with the Castilblanco/Chen series and the MIDAS BOMB and SOLDIERS OF GOD. This entry was posted in Uncategorized and tagged book review, fiction, mystery, Steven M. Moore, thriller on April 23, 2015 by Scott Dyson. I started reading THE WANNOSHAY CYCLE by Michael Jasper on Wednesday or Thursday of last week, finished it on Friday night, and went back to reread a few chapters over the weekend.I don’t know how many here have read it, but for what it’s worth, I thought this was one of the best “alien” type SF novels I’ve ever read. I won’t talk about the plot here; if anyone wants to know more about it, check it out on Amazon and read the description. I will say, though, that the depiction of aliens is up there with Niven’s Ringworld aliens, in my opinion. It is superior to those, in some ways. I felt like I *knew* these creatures better than I ever knew the Puppeteer or the other alien from RINGWORLD. I could visualize them much better than I could the alien beings in Asimov’s THE GODS THEMSELVES, and the aliens in Robert Sawyer’s CALCULATING GOD were less well described, I thought. Jasper’s vision of the near future, an Earth where things like You Tube and blogging have been extrapolated to one possible logical conclusion, where the government’s response to terrorism has become a way of life in itself, sort of, where designer drugs evolve into Blur, was both familiar but yet clearly IN the future. I thought it was very well imagined and described. Michael Jasper writes beautifully, also. Nary a clunky sentence to pull one out of the story to be found. Characters are fully realized; you “know” them very quickly, including the aliens to the degree that any alien can be understood. One of the nice things about the story is that the author does not try to explain every last thing about these creatures; leaving me to believe that there are some things about the aliens that just are outside of human experience. This is up there with the best SF I’ve read in a couple of years. And seriously, I’m not just kissing up because Michael Jasper journals here, and might (or might not) read this. If anyone reading this likes SF, you can confidently give this book a go. This entry was posted in Uncategorized and tagged book review, fiction, Michael Jasper, science fiction on April 13, 2015 by Scott Dyson. Back when newspapers existed, I would read either the L.A. Times or the L.A. Daily News, and one legal newspaper, the L.A. Daily Journal. I’d scan for interesting stories or legal issues, and clip them and throw them into a box. Every now and then I’d go through that box, seeing if the ideas still interested me. One item kept vying for my attention. It was a tragic story about an L.A. man who shot his young wife to death, then drove to a freeway overpass, got out, shot himself, and fell 100 feet to the freeway below. He crushed a Toyota, killing the driver. How bizarre is that? So one day I wrote this up as an opening scene. When I got to the part about the woman being killed, I made up a character: Jacqueline Dwyer, a twenty-seven-year old elementary school teacher. From there Bell imagined some things about the incident and came up with a story about a young lawyer in a high-powered LA law firm who was engaged to marry Jacqueline Dwyer. She was his soul mate, and her death crushes him. When someone shows up at the funeral trying to get money out of him in exchange for information about her death, Ty Buchanan (the attorney) learns that Jacqueline may have survived the impact of the body of the suicide victim hitting her car. And then she was killed — murdered, in fact, and this guy who has shown up at the funeral witnessed it. I sped through the first book, which introduced me to a priest named Father Bob, who has been accused falsely of molesting a young boy and has been reassigned to a Benedictine monastery called St. Monica’s, and a pretty young nun who lives there as well named Sister Mary Veritas. What followed was a tense mystery, with two parallel mysteries — the first pertaining to the case that Ty is working on at his firm, related to suppressed memories and false accusations of sexual abuse used as weapons in divorce cases (Father Bob comes to Ty to give him background on his own case in order to help the falsely accused man), and the second is Ty’s own investigation into his fiancee’s death. After speeding through that first book I immediately downloaded the second book (TRY DARKNESS) and I sped through that one almost as quickly. In this one, Ty is now practicing law out of a coffee shop and he is introduced to a woman and her young daughter by Father Bob. The woman is being forced out of the residential hotel she lives in with her daughter and onto the street. The play is that if someone is not a resident for over a certain time period, the hotel can be considered a commercial hotel rather than a residential hotel and there are tax advantages or something like that. So the owners/management shuffle the residents out after so many days, and then they can return after a couple weeks. Seems the woman doesn’t want to go. She can pay the rent and wants Ty to force them to let her stay. Then she ends up dead. So now Ty has a murder mystery to deal with. Not to mention whatever’s going on at St. Monica’s, where Ty is living and finding himself increasingly attracted to Sister Mary Veritas, the classic example of setting up an unattainable target. The sparks that fly between the two of them as they interact are worth the price of admission. But it’s still the mystery at the heart of this book that makes it another great read, and another hard-to-put-down story. I reached the end and wanted more. So I got more. 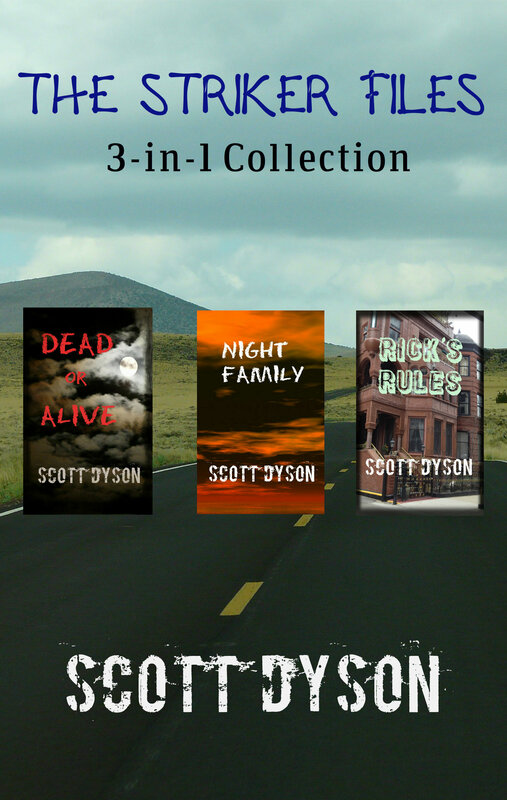 I downloaded the third book, TRY FEAR, and plowed ahead into Ty’s story, and Sister Mary’s story too. In this story, Ty starts off by getting a guy off for a DUI on a technicality. His DA opponent, Kimberly Pincus, is upset that she got beaten on something that seemed so cut-and-dried, especially when the guy had a blood alcohol reading of .18 — in other words, he was very drunk, and he was driving. The DA is not just a woman, she’s a young, very attractive woman, and she sets her sights on Ty, who is just now getting over his fiancee’s death. He’s ready for a relationship, maybe. And maybe Kimberly is the right woman. Because at the same time, Sister Mary Veritas, the basketball-playing, elbow-throwing nun who is helping out by acting as Ty’s investigator, begins receiving threatening emails. A cyber-stalker, making threats and insults to the pretty young nun. When Mary is shot while she and Ty are trying to visit a witness, Ty blames himself — the bullet must have been meant for him and Mary’s involvement is just too risky for the nun. This may have been the best story of the three — it really grabbed me and spun me around with its twists and turns — twists worthy of a Harlan Coben novel. I loved the continued sparks between Sister Mary and Ty, and the repercussions for Mary, both in terms of physical risks (like being shot) and punishment from the abbess of St. Monica’s. So many questions: Is Kimberly the right woman for Ty? Is being a nun the right choice for Sister Mary? And what’s this cyber-stalking all about? Is it connected to a case, or is it a random nut, or is something in her past coming back to haunt her? TRY FEAR has a great conclusion to every question I may have had, and while I would be happy to read more about these characters, the story feels complete (as Bell indicates at the end of the third book). It can end here and I’ll be okay with it. James Scott Bell has many books on the craft of writing, and I think perhaps I should try a few of them, see if anything he has to say about specific parts of craft that clicks with me. A very enjoyable trio of reads. I will be reading more fiction by Bell as well in the future. I like his style and he creates great characters who come to life in his stories, if these three books are any indication. This entry was posted in Uncategorized and tagged book review, ebooks, fiction, James Scott Bell, mystery, thriller on April 2, 2015 by Scott Dyson.